At the first two Midwest Craft Cons, we focused on giving great business advice for craft business owners. But we know the creative side of our participants’ businesses is super-important, so for 2018 we’ve added a track of arts and crafts DIY sessions throughout the con so you can break up your business brainstorming to let your creative side shine. All attendees of Midwest Craft Con are able to participate in any of these classes without prior sign-ups. Get your 3-day ticket or day pass here! Alternative Fashion Mob is a creative collection of fashion designers, industry professionals and couture enthusiasts dedicated to furthering the fashion industry in Columbus.​​ You’ll see them around Columbus at events, fund raisers, pop-up boutiques, and at the mother of all fashion fests, Alternative Fashion Week. Learn the art of shibori dyeing with them at one of three workshops at Midwest Craft Con! Located up in the woods of Michigan, you’ll find a small group of makers set up in a rustic lodge crafting their hearts off like they’re back in summer camp. Amy Cronkite will be teaching attendees to paint and design their own wooden bracelets three times over the weekend. Join smARTStudio founder Jennifer Davis for a Macrame FUNdamentals workshop, a creative opportunity to become a macramaniac! If you attend one of the three workshops, you’ll learn about the macrame process and using basic knots to create a wonderful wall hanging. Beginners are welcome. No experience necessary! You love her Instagram, and now you can paint with jesiii! She’ll host a laid-back painting party on Friday morning. Stitch a small affirmation Saturday morning to leave in public or give to someone you love (which could very well be yourself)! Learn to draw dogs and cats with keynote speaker and cartoonist Gemma Correll and make your own button to take home on Saturday afternoon! Learn how to bind your own journals with local maker Igloo Letterpress on Sunday morning. You’ll keep one and give the other to a charity in Columbus. Once the day’s classes have ended and you’re SO ready to close your notebook, get ready for some more fun! 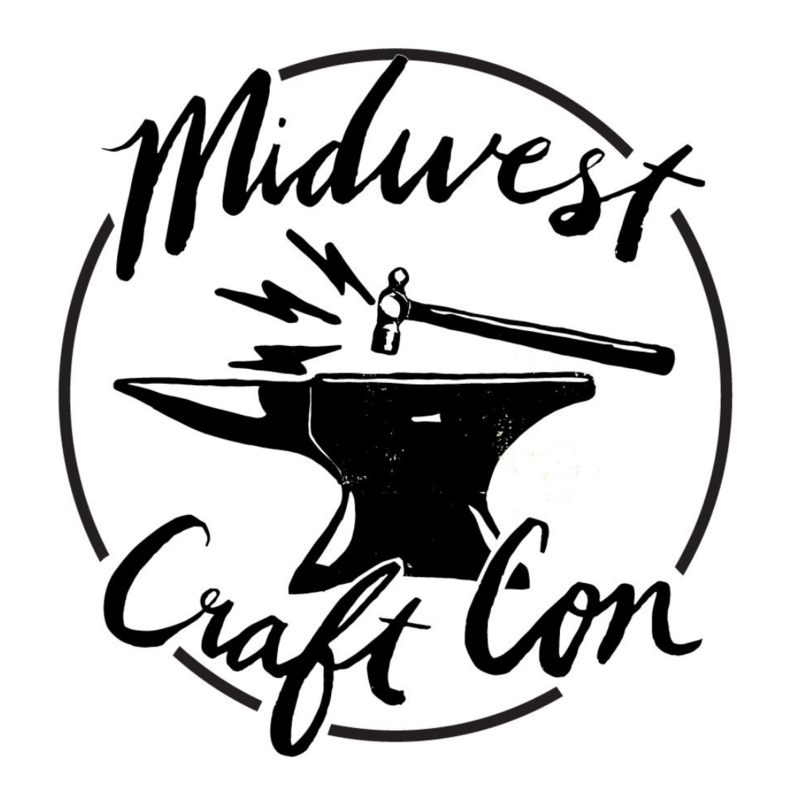 The evenings at Midwest Craft Con are designed for you to let loose, unwind and make new friends over drinks, songs and crafts. Handmade exchange: Attendees can swap handmade items with each another. Attendees must sign up ahead of time in our private Facebook group to participate. Craft Crawl: Experience pop-up shops, fun times and crafty drinks in the rooms of our Craft Con partners and sponsors throughout the hotel on Friday evening. Introvert hours: Play board games, puzzles or bring your work in progress to enjoy in a quiet, intimate space on Friday and Saturday evenings. Pool party: On Friday night we’ve got extended pool hours just for conners, hosted by Surprise Modern Party. Enjoy a screening of The Knit Show with Vickie Howell and a movie TBD! Craft Karaoke: It’s going down once again on Saturday night with One More Round Karaoke! Come prepared to sing your favorite song or just hang out and support your new friends.